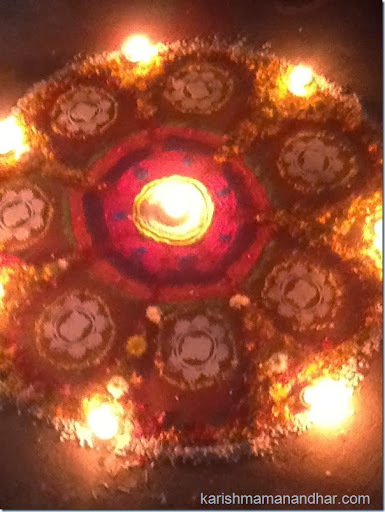 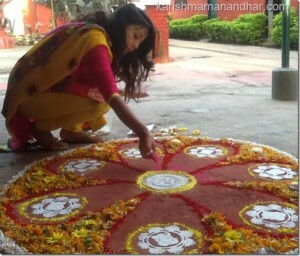 During Deepawali, Karishma Manandhar prepared some very beautiful Rangoolis. 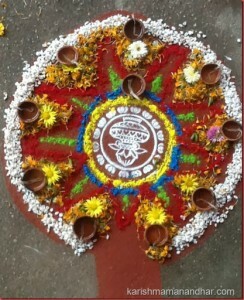 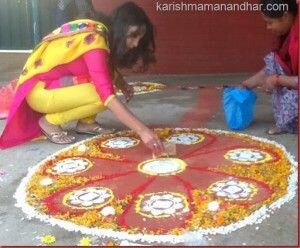 Karishma decorated and prepared the house for worshiping the goddess of wealth – Laxmi. 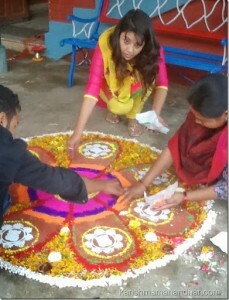 In the evening, Nepali film artists went to Karishma’s home to play Bhailo. 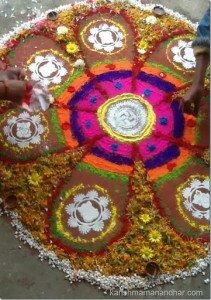 The photo feature of the Bhailo program will be posted in next post.